A marine chronometer developed by Alexander Bruce, 2nd Earl of Kincardine (1629-1680), has just been acquired by the National Museums of Scotland. 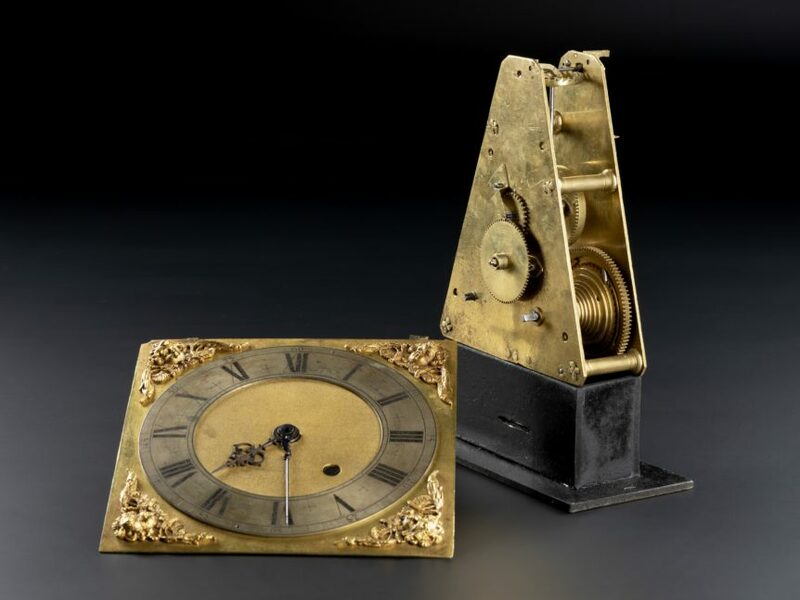 A world first, Alexander’s sea-going pendulum clock was commissioned from the leading Dutch instrument maker, Severyn Osterwijck (1637-1694) in 1662. Seeking to improve navigation and promote international trade, Alexander collaborated with the Dutch mathematician, Christian Huygens (1629-95), to be the first to establish longitude at sea. However the trials which they conducted proved inconclusive. It took another century for John Harrison to patent his marine chronometer in 1761. A fugitive Royalist, Alexander left Scotland during the Civil War, travelling to the Low Countries where he attached himself to the court of Elizabeth Stuart (the Winter Queen). 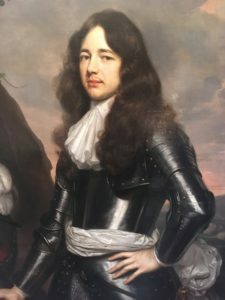 Here he studied mechanical engineering and industrial processes, which he intended to introduce to Scotland following the restoration of Charles II. In 1659, Alexander married a Dutch heiress, Veronica van Sommelsdijk. He returned from Holland the following year and was admitted to the Royal Society as a founding member. Settling in Scotland in 1661, when he inherited the Kincardine earldom from his brother, Alexander and Veronica enlarged the family seat at Culross overlooking the river Forth, and laid out a Dutch garden. They had at least 5 children, among them Elizabeth Bruce, grandmother of James Boswell, the biographer. 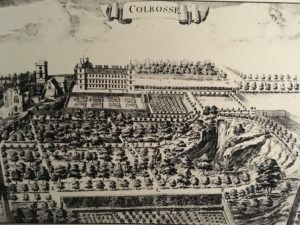 Image of Culross Abbey House, John Slezer, 1693. Private viewings of Broomhall House are available by special arrangement. For more details, enquire today.